TrustFord is the largest Ford franchise group in the world with 65 dedicated retailers located across the UK and Channel Islands. The company is part of the Ford Retail Group. TrustFord dealerships cater to a wide array of customers and sell both new and used cars or vans. Their new vehicles are entirely from the Ford brand and they offer the latest models plus an extensive range of Ford products. You aren’t limited to the one marque, though. TrustFord’s used cars are made up of a huge selection of vehicles made by leading car manufacturers, from Audi to Nissan and beyond. TrustFord began when Jardine Motors Group merged with the Ford manufacturer and its dealerships. Taking the name of Polar Ford, the company went on to acquire Dagenham Motors and a range of other car dealers. 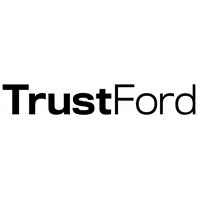 In 2004, Jardine Motors sold their shares to Ford, who rebranded the company in 2014 as TrustFord. The history of the business is obviously somewhat removed from the legacy of the Ford Motor Company, founded by Henry Ford in 1903. However, as they carry the Ford name, it’s necessary to give a slight nod (nods) to the man whose pioneering innovations helped shape the automotive industry. At TrustFord, you will find a large selection of new and used vehicles in stock, both from the Ford range and other leading car manufacturers. With the latest Ford models, and those coming soon, available, a TrustFord dealer will cater for all types of car drivers and enthusiasts. The company offers the full range of body styles available to buy from Ford. These include, but aren’t limited to, hatchback, SUV and family car models.